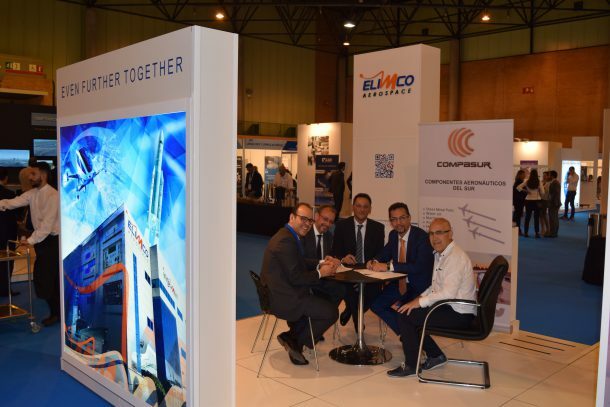 Elimco Aerospace and Compasur, Andalusian engineering of the aeronautical sector, have signed a commercial agreement that Will allow them to create global electromechanical solutions and jump to international complex markets for major final players or TIER1. As indicated the CEO’s of both companies, José Manuel Soria and Jesús Escudero, “This commercial association will alow us to take advantage of the technical capacities of each company with the aime of offering complementary services and products, whose demand is growing considerably in the sector at an international level, and in which, from Spain, we are very competitive.” Also, “the importance of this agreement is that we Will have the opportunity to acces higher volume contracts for both companies and work alongside the main TIER1 at European level, as well as aircraft manufacturers, which it would be harder to opt separately,” they have added. 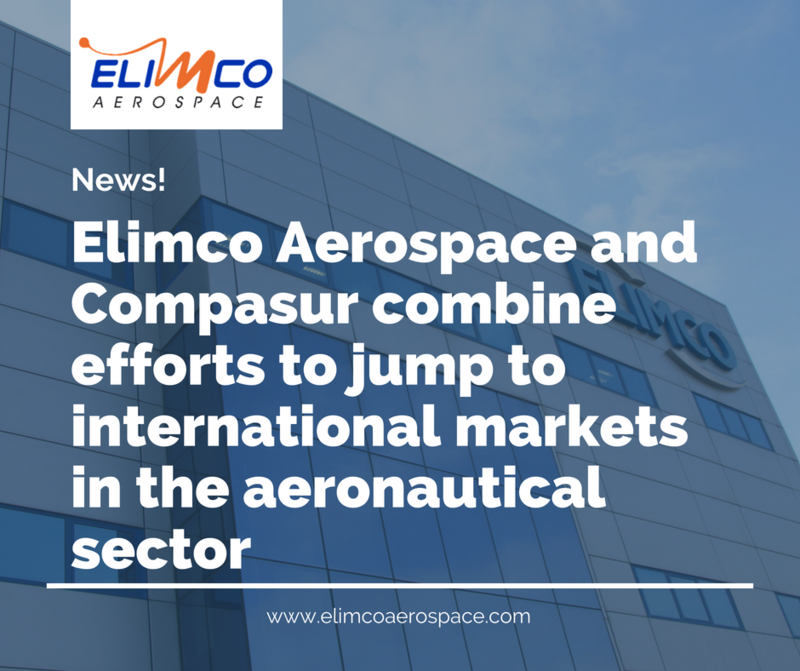 On the other hand, the synergy generated between the two companies and the means available to each of them Will be implemented and consolidated in new international markets, especially France, Germany and Italy, strategic objectives contemplated in the respective business plans of Elimco Aerospace and Compasur. The agreement reached is the result of the intense commercial work carried out by the teams of Elimco Aerospace and Compasur that culminated during the celebration of Aerospace & Defense meetings Sevilla, the business evento of the most important aerospace industry in Spain, organized by Extenda (Andalusian Agency for foreign promotion) and the firm BCI Aerospace, and held at “Palacio de Exposiciones y Congresos” of Seville from the 15th to the 18th of May. This Alliance joins the also achieved in ADM Sevilla 2018 with the consultancy Job Impulse to enhance its international growth through the selection of high-quialification technical profiles in countries of interest to companies. Compasur is a purely sevillian company that manufactures metal progressing packages for Spanish Tier1 and Tier2 and particpates in major Airbus programs such as the A350, A330, A320, A380, A330MRTT, A400M and Eurofighter, for Boeing with the program B737 and for Embraer with the KC390. It has recently moved its facilities to the Aeropolis Aerospace Technology Park and is developing new aeronautical machining, assembly and 3D printing capabilities.